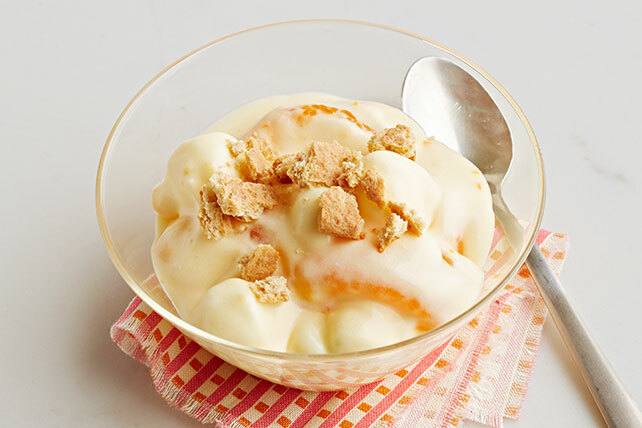 Whip up this Mandarin Orange Fluff Dessert with just 10 minutes of prep time! You'll love this Mandarin Orange Fluff Dessert with graham cracker crumbs. Beat pudding mix and milk in medium bowl with whisk 2 min. Stir in COOL WHIP and oranges. Stir in marshmallows just before serving; sprinkle with crushed grahams. This easy-to-make dessert can be refrigerated up to 24 hours before stirring in the marshmallows and topping with the crushed grahams.